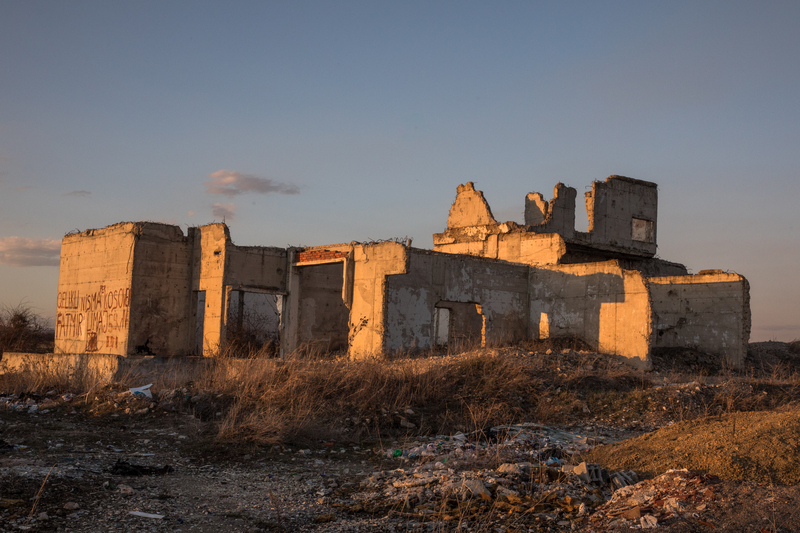 Prishtina Insight’s new photo essay examines the footprints left across Kosovo by NATO’s bombing campaign, two decades after its initiation. 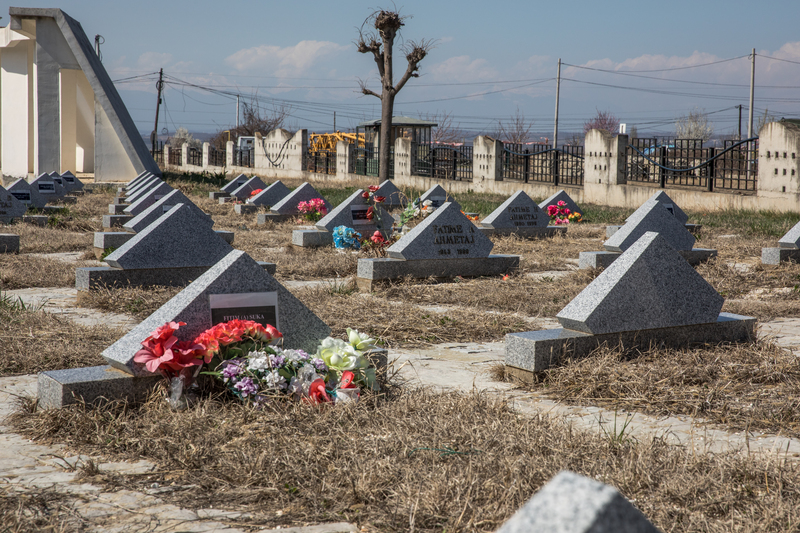 On March 24, 1999, Kosovo’s landscape was altered as the first bombs fell from warplanes overhead, and missiles were launched by warships in the Adriatic Sea. Forty Serbian military targets in the Federal Republic of Yugoslavia, FRY, were hit in the first 24 hours, mainly in Serbia and Kosovo. It was the beginning of NATO’s air campaign known as ‘Operation Allied Force,’ which would last for 78 days. Its aim was to end the escalating conflict and humanitarian crisis that was unfolding in this part of the Balkans by wiping out Slobodan Milosevic’s regime and associated Serbian artillery and mortar positions, convoys, weapons factories, airfields, ammunition depots, bridges, radio towers, petroleum facilities, and other prized military installations. “We will systematically and progressively attack, disrupt, degrade, devastate and ultimately – unless President Milosevic complies with the (peace) demands of the international community – destroy these forces and their facilities and support,” NATO’s Supreme Allied Commander in Europe, General Wesley Clark, told journalists at NATO headquarters after the first day of air attacks. However, military installations and convoys were not the only targets destroyed by the air strikes. Hundreds of civilians were also killed when refugee columns were mistakenly identified as Serbian military targets. 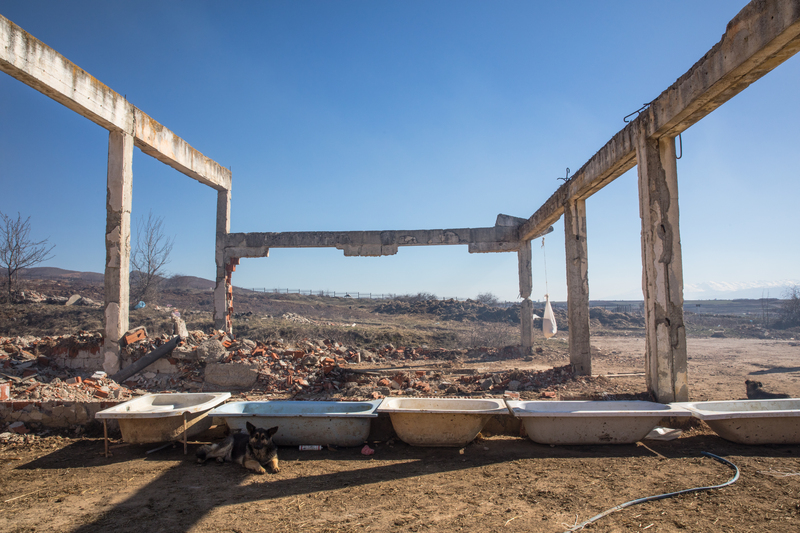 According to Human Rights Watch, an estimated 500 civilians were killed during the NATO air strikes, while the number of massacres and forced deportations enacted on Kosovo Albanians by Serbian forces increased after the air campaign commenced. 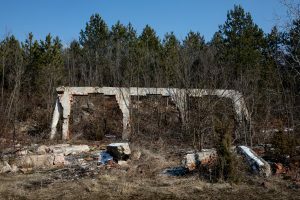 What remains today is rubble, the skeletons of buildings and a few memorials strewn across the countryside, mostly hidden in plain sight, that now serve as scars of the military operation that took place here 20 years ago. 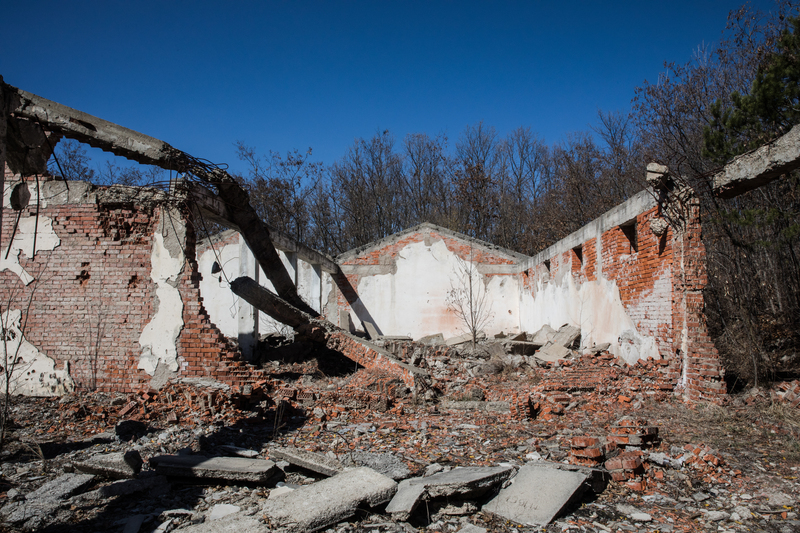 The ruins of a Serbian army barracks where soldiers may have slept before NATO’s bombing campaign started. 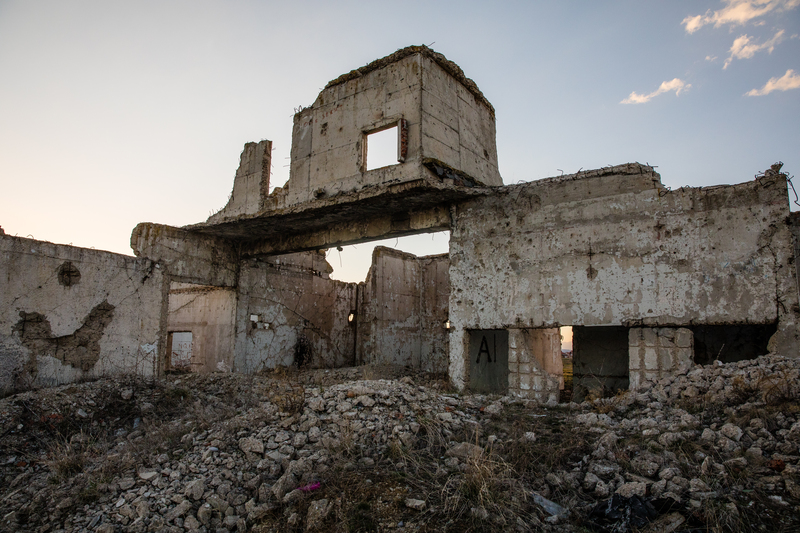 Located on a hilltop overlooking Ferizaj, it served as a military base for the Yugoslav army, and was destroyed early on in the bombing campaign. 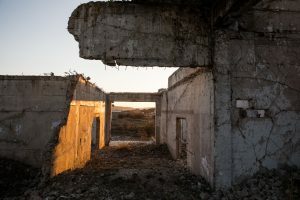 Currently, the ruins are used for military exercises conducted by soldiers from the Kosovo Security Force, KSF, stationed here at the Training and Doctrine Command (TRADOC). 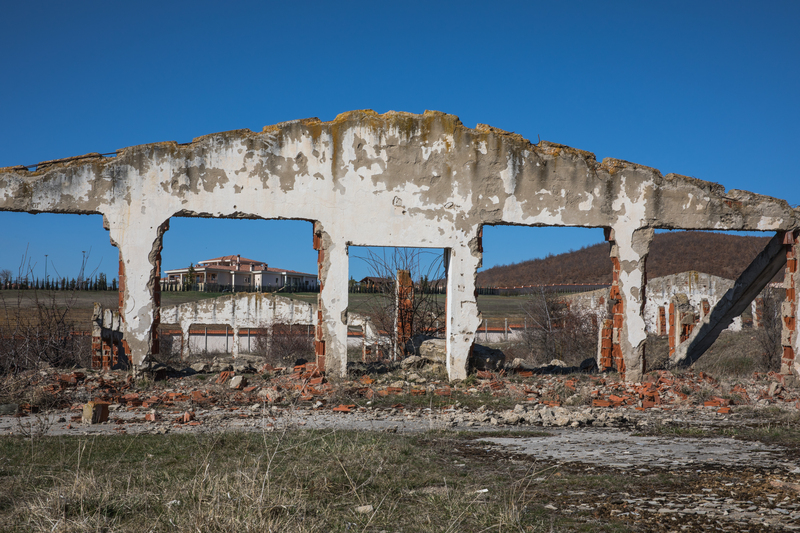 According to a resident of this village a few kilometers north of Ferizaj, the Serbian army occupied Prelez i Muhaxherve with tanks before the area was bombed by NATO in early May 1999. 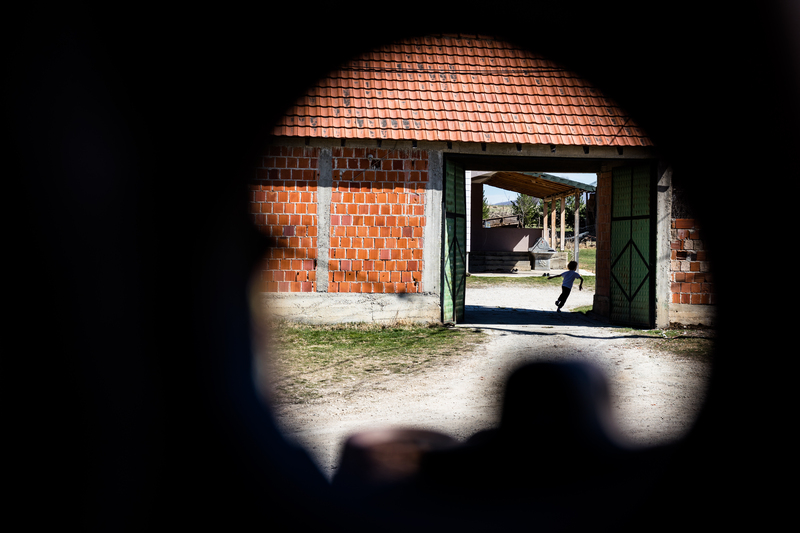 Houses in the village were used as shields by the Yugoslav army, who hid their vehicles from NATO’s bombs. 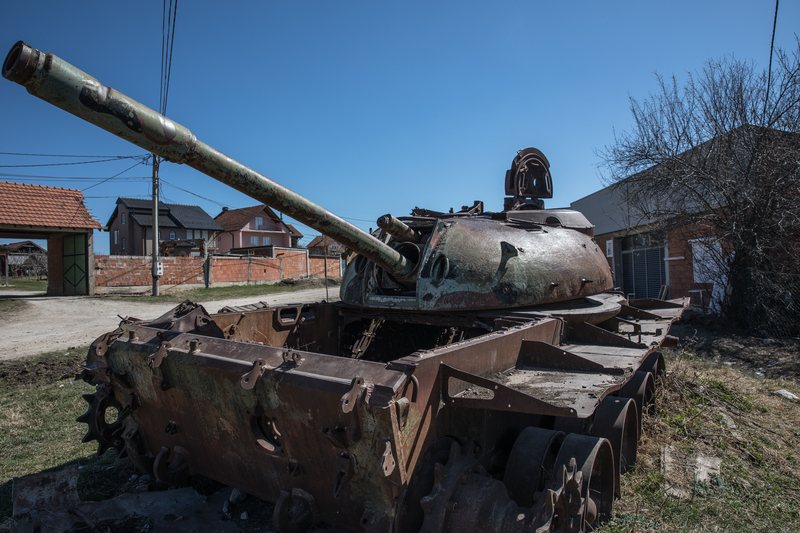 The tank was originally abandoned in a crater left in a nearby property before NATO’s peacekeeping mission, KFOR, moved it to its current location. The whole area was razed to the ground, with new houses being built after the war. Dozens of Serbian army tanks and other armored vehicles and trucks were targeted and destroyed by NATO during the air campaign. The remains of one of the largest Yugoslav military bases in Kosovo, which was attacked by missiles on March 28, 1999. NATO referred to the base as the “Headquarters in Pristina” and declared it “completely destroyed” after the strikes. 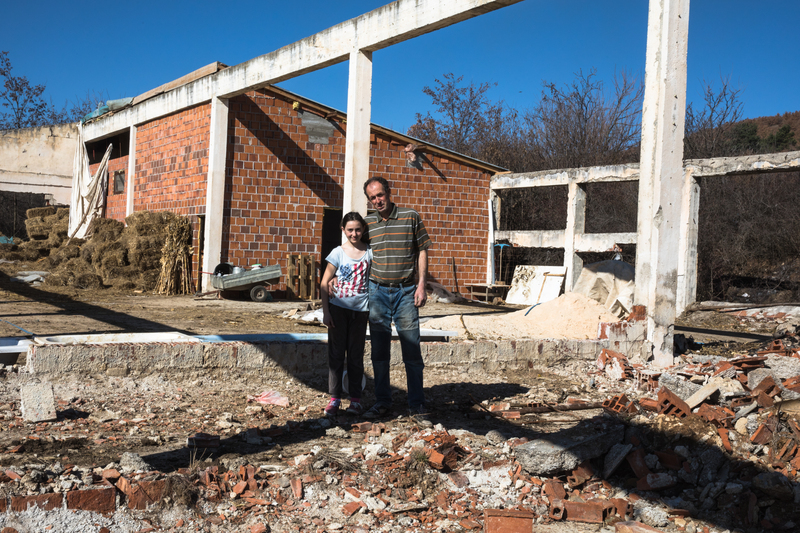 Six years ago, the Miftari family moved into one of the abandoned structures, transforming the crumbling former military base into their new home and farm. 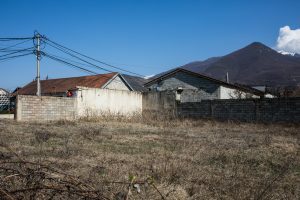 A mansion belonging to Kosovo’s Minister for Foreign Affairs, Behgjet Pacolli, lies a few hundred meters away from the former base and the Miftaris’ home. The skeleton of the building that housed one of the antennas of Radio Prishtina in the village of Komoran in the Drenica region. Other NATO targets were located in the vicinity of the building, including fuel depots and other military facilities. 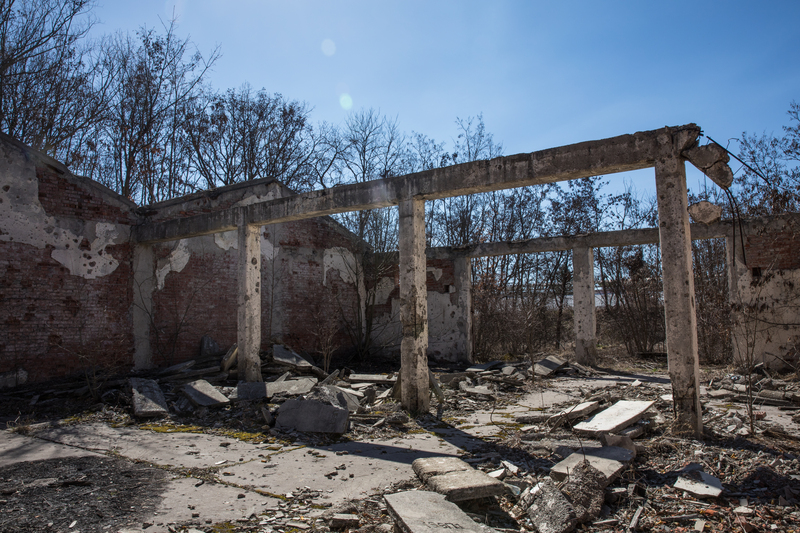 The Serbian army also launched rocket attacks on NATO planes from this building, and it was used as a military checkpoint by Serbian forces. It was attacked by NATO allies on May 28, 1999. 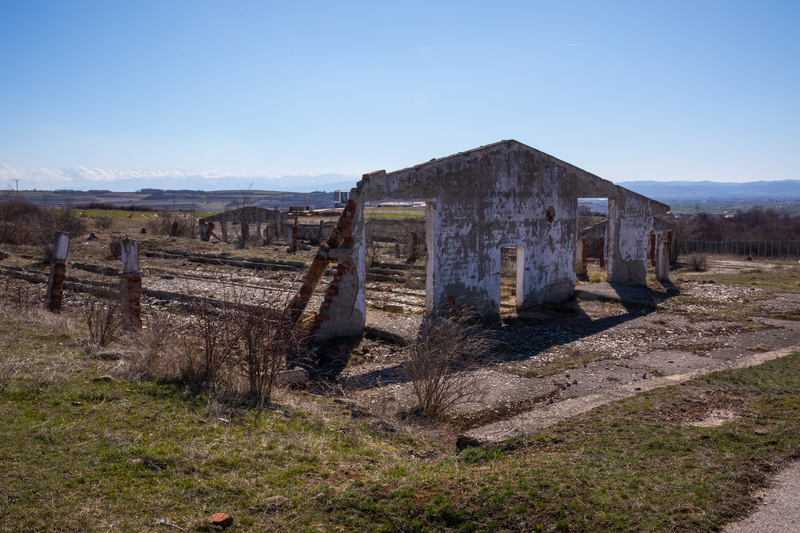 A former Serbian ammunition factory and storage facility near Skenderaj in central Kosovo, only a few hundred meters from the village of Prekaz where the Jashari family was massacred in March 1998. Back then, the factory functioned as part of the Trepca industrial complex, and during the war served as a base for both military and paramilitary Serbian forces. Today it is a sprawling abandoned complex. The site of a late night NATO air strike on May 13, 1999, that killed up to 100 ethnic Albanian refugees as they slept in a warehouse in Korishe, a village near Prizren, after descending from the nearby mountains earlier in the day. The convoy of refugees was planning on continuing to Albania the next day. Around 500 refugees were sleeping here and on tractor-trailers on the night of the attack. Before the bombing, NATO had already attacked a Serbian military command post near Korishe and mistakenly identified the convoy of refugees gathered here as another NATO military target. The attack on Korishe was one of the worst single bombing blunders committed by NATO during the 78-day aerial campaign. A cemetery where the bombing victims are buried and a memorial dedicated to “the fallen of 13.05.1999” lies a few meters away from the site.